Are you planning your wedding day, event with an accompanying programme, ball or a festival? Do you want to choose the right surprise for your Christmas party, New Year’s Eve or New Year’s Corporate Event? Are you thinking about an original present for your friends? to be the beautification of all gala evening events and the highlight of many functions. There is a big fan base of Elvis Presley in the Czech Republic but the only perfect double of this rock’n’roll legend lives in Prague!! 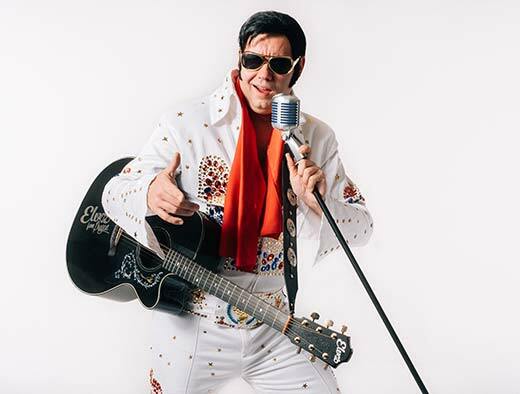 Elvis from Prague not only looks like the real E. Presley but also sings his songs in an original key playing guitar wearing the well-known costume, wig as well as sunglasses. How can you meet Elvis from Prague? 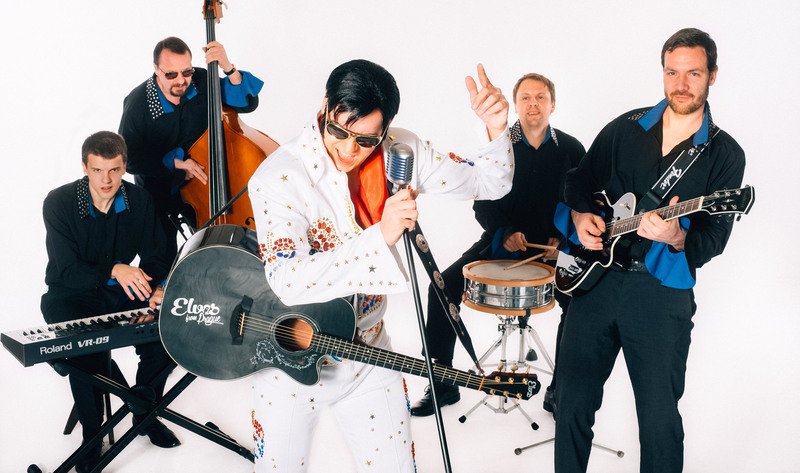 A concert of Elvis in the length of 60 to 80 minutes accompanying by the professional band consisted of these instruments: drums, double bass, keyboard and acoustic guitar. This is the optimal option for any occasion. 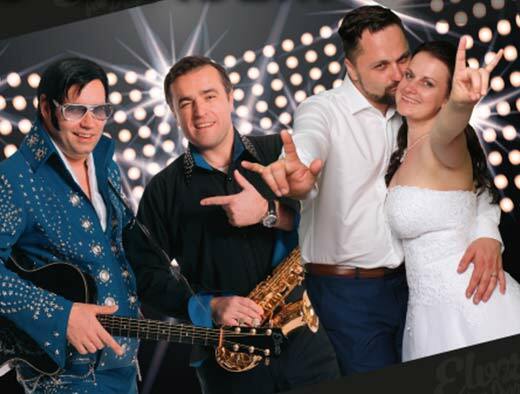 The formation of a DJ combined with a sax player along with the midnight surprise in the form of the unique performance of Elvis belongs among the favourite and desired options of every party! 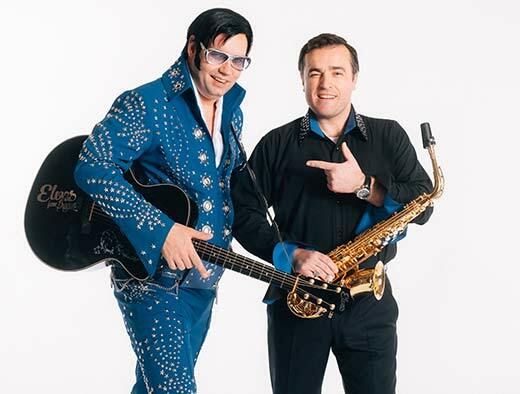 Up to 30 minutes of the most famous hits of the rock’n’roll King in the interpretation of Elvis from Prague using backing tracks and singing live! This show does not have to be missing at any type of event! 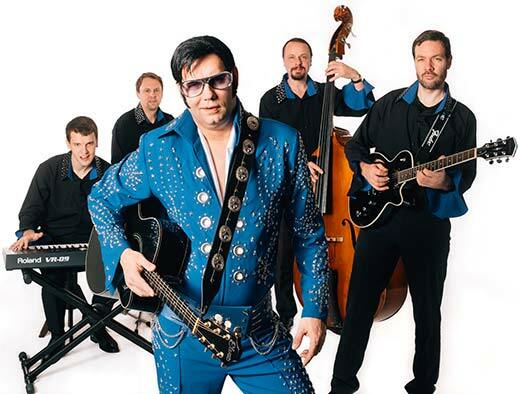 The Elvis from Prague project is represented by the Živý Jukebox, s. r. o.